Adbri Masonry is Australia's leading manufacturer of concrete bricks, pavers, blocks, retaining walls and erosion control products. 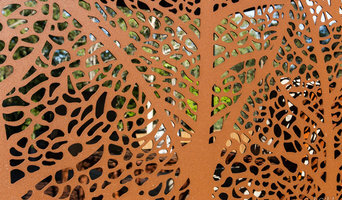 DSD Decorative Screens Direct laser cut decorative screens made to measure right here in Australia using the latest CNC laser cutting, punching and folding technology. We have over 10 years of manufacturing commercial architectural metalwork project experience and we now have a range of products suited to the domestic market right through to large scale commercial projects. If you come direct to DSD you will save time and money on your decorative screen project every time. Discover why we are so much more than flat panels with our industry changing DSD FIX framework system folded with CNC precision it is the easiest and most cost effective way to frame and install your next project..
Trojan Timbers are leading importers and a core supplier of Engineered Timber, Bamboo and Luxury Vinyl flooring along with Plantation Shutters in both aluminium and timber. We also have an impressive range of various internal and external blinds, and solid joinery doors. Our customers include architects, designers, developers and leading builders. Our brands, which include PRO-FLOOR Engineered Timber Flooring and Harvest Plantation Shutters, are synonymous with quality and have been included in a number of prestige landmark developments throughout Queensland. PRO-FLOOR and Harvest Plantation Shutters can be purchased on a supply only basis, or we can supply and install. Trojan Timbers are BSA licensed and as such control all installations in-house. Our structure of being the direct importer and the final sub-contractor ensures you receive the best possible price and a finished product of the highest quality. We trust the brief information contained in our web site will provide you with the confidence to trust Trojan Timbers with your next project. We look forward to the opportunity to demonstrate why we are regarded as market leaders and specialists in engineered timber products. We fill a crucial gap in the market – Australia’s best prices on quality tapware. Our story was simple, it started with humble beginnings. A love for design & a mission to bring luxury, affordable, high quality tapware & bathroom products to the Australian market. When purchasing from ABI you are buying direct & with confidence. With our in-house design & direct manufacturing process we are able to offer our customers the most competitive prices in the industry for high quality products. We stock a selection of beautiful colours such as brushed brass, copper, gun metal, rose gold, matte black, brushed nickel & more to come. We believe in staying ahead and never stop innovating to bring our customers the best we can possibly offer. With thousands of happy customers and growing we would love for you to join us on our mission to making luxury bathroom products available to everyone. Shop online, in-store or contact our team! ABI services both wholesale and retail clients. Austral Plywoods is Australia's leading manufacturer of premium grade plywood. Based in Brisbane, Queensland, and operating since 1925, we have earned a reputation for high quality products and excellent customer service. Our resource is 100% plantation grown Hoop Pine, sourced from HQPlantations in southeast Queensland. Our products have Chain of Custody certification under Australian Standards AS 4707:2006. The Austral Plywoods Chain of Custody, linked to the Australian Forestry Standard (AFS), was awarded through an independently audited process carried out by the Engineered Wood Products Association of Australasia (EWPAA). Manufacturing to Australian/New Zealand standards, we maintain a process quality control system in compliance with the EWPAA-JAS-ANZ product certification scheme. Our A-Bond products have a Super E0 rating, the lowest formaldehyde emission rating obtainable. 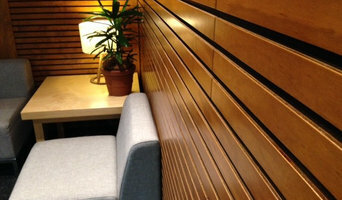 We manufacture a wide range of panel products, specialising in marine plywood and appearance grade plywoods. Our plywood has been used in a number of high profile projects, including the Brisbane Supreme & District Courts, Perth Arena and Melbourne Recital Centre. Our customers consist mainly of wholesalers throughout Australia and New Zealand - please contact us for your nearest distributor. 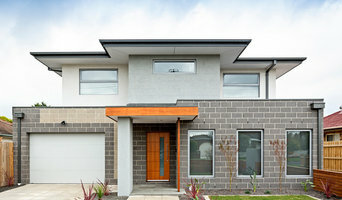 Cedar Sales are a modern timber mill specialising in unique timber innovations for stunning architectural statements. Cedar Sales also supply traditional timber profiles, shiplap and vee Joint. Cedar Sales' mainly supply Western Red Cedar, suitable for interior or exterior use, and the more blonde-toned Hemlock, which is mainly used internally. 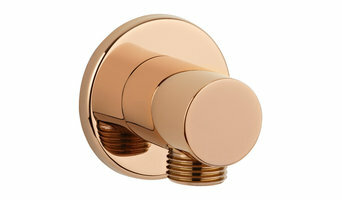 We also offer an innovative range of coated finishes which are stylish and on-trend. Other species may be available on request. Cedar Sales are an exciting company that is regularly introducing vibrant new designs for residential, commercial and retail projects. Quality Bathroom Supplies at the Best Possible Prices Australian owned and operated, Element Building Supplies operates from our local office and warehouse in Lytton, (near the Port of Brisbane and Brisbane Airport) we are a local team of passionate bathroom renovation experts and supply and logistics experts. We work hard to secure high-quality bathroom products at the best prices delivered directly to the retail or distribution point for our clients. We have secured reliable and tested supply chains in the manufacturing center of Guang Zhou in China. But you don’t have to deal directly with them. 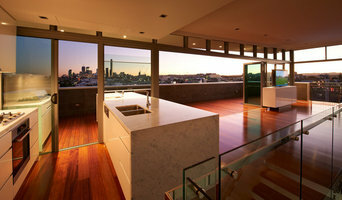 We can do all that for you right here in Brisbane. As a Customer Service focused business our role is to source the best products at the best prices and arrange timely delivery. Then support that process with a guarantee and warranty service. You can shop direct from the factory but deal with a local. We can do this because Element Building Supplies is a subsidiary of a long-standing and highly successful manufacturing company here in Australia with production and manufacturing facilities both in Brisbane and in China. Over two decades of experience in developing supply chain logistics and delivering a diverse range of products, we are now leveraging that expertise to bring quality bathroom products at great prices to retailers across South East Qld. Artisan's in Applied Textures & Specialised Finishes. With 35 years of experience in all aspects of Solid Plastering including Polished Plaster, Venetian Stucco, Concrete Finishes, 3D Wall Panels & Sculptural Walls, and all types of Cement Rendering Services. We are Preferred Applicators for the entire Rockcote Range and are part of Rockcote's Natural Artisan Group. We are Approved Applicators for all Armourcoat, Dulux and Parchem products as well as all other mainstream paint manufacturers. Plastacraft is also the Queensland Distributor for Armourcoat, Multicolour and Zolatone products. QTank is Queensland’s leading manufacturer of poly water tanks, servicing the Brisbane, Sunshine Coast, Fraser Coast, Gympie, Gold Coast and Northern NSW regions. From 1,500 litres through to 30,000 litre water tanks, QTank can provide a water tank solution for any project requirement. As well as round water tanks, QTank manufactures a comprehensive range of slimline water tanks to suit smaller spaces. Our slimline range includes tanks from 2,500 litres through to 5,000 litres; ideal for those situations where space is at a premium. Our water tanks are supplied with all the required fittings, valves and outlets. QTank is also a leading dealer of water tank pumps, ranging from small domestic use to whole house solutions and submersible pumps, proudly supplying Claytech pump range. QTank is one of only a small handful of water tank manufacturers nationally that is certified and independently audited (by SAI Global) to the Australian Water Tank Standard AS4766:2006. Eurowood™ Innovative Coatings and its associated Ezi-Ali Systems is part of MPG Group (MPG). MPG over the years have developed patented systems to improve manufacture and assembly procedures for many of the well known home/architectural improvement products available today. These include the Ezi Ali range which includes: • Aluminium slat screens • Aluminium louvres • Aluminium shutters • Aluminium balustrading systems • Aluminium gate systems • Aluminium fencing • Aluminium cladding systems • Aluminium glazing systems MPG Group, under its Suresafe Brand, also distributes a range of Glass fencing and balustrade systems including semi frameless and frameless. We also have a comprehensive range of modular glass and stainless systems. All these products are market leaders and are readily available to architectural, commercial and domestic markets in Australia and overseas. Innovative Coatings For the last 10 years the MPG Group has been heavily involved in the research and development of "Super Durable" finishes that would complement any non welding assembly system including their own unique Ezi-Ali patented systems. The aim of these new style “Super Durable” finishes is to create a paradigm shift in what the market can now expect from coated aluminium finishes. Normal powder coating would not stand the test of time in this beach location on the Arabian Gulf due to the extreme heat, extreme cold, driving wind, sand storms and high salinity. Eurowood Textured™ is also guaranteed for 7 years, including beachfront locations. Market acceptance of Eurowood Textured™ as a tough durable textured finish has been so rapid that it is now being used on many leading architectural and commercial projects. It comes in nine colours that mirror most of the normal colours used by the building industry today. Special colours can be made to suit large projects. Welcome to our world of Grand Ideas. We take the concept of recycling to a whole new level. You’ll be amazed when you visit our Salvage Emporium. If it’s not the unusual industrial furniture it may be the old colonial building materials or the antique garden features that will take your project to a heightened difference. We also manufacture a range of unique decorative items from the world of recycling. Nel momento in cui viene definito un progetto più ampio, i materiali da costruzione vengono già selezionati in fase di progettazione. Per i progetti più piccoli, invece, i materiali vengono più spesso scelti nel momento della realizzazione. In entrambi i casi, tuttavia, bisogna sapersi districare tra innumerevoli dettagli, differenze e specificità. I fornitori più esperti sono in grado di consigliarci in merito al materiale a seconda del tipo di progetto che vogliamo portare a termine. Per loro si tratta di capire fin da subito l’influenza di fattori come l’umidità o il calore a cui sarà sottoposto il materiale di cui abbiamo bisogno, oppure si tratta di definire al meglio la resistenza necessaria del materiale o quella che sarà la sua esposizione a un’usura quotidiana (che è, ovviamente, molto differente tra i progetti per esterni e quelli per interni). Alcuni fornitori, inoltre, sono specializzati in tipologie particolari di materiale edile, come nel caso dei materiali edili antichi, dei tanti tipi di materiali decorativi, del materiale isolante termico o dei legnami da costruzione. Ogni materiale ha le sue potenzialità e le condizioni ottimali in cui essere utilizzato e integrato con altri: il fornitore giusto è quello capace di conoscere approfonditamente ciascun aspetto necessario a scegliere i materiali da costruzione migliori per noi. Avvia una ricerca nella sezione Professionisti di Houzz includendo il nome della tua città. Compila un Ideabook con le foto dei progetti che più ti piacciono e contatta il professionista che li ha realizzati. Ti consigliamo inoltre di diventare un utente attivo nella community Houzz pubblicando un design dilemma o un sondaggio: i professionisti saranno felici di rispondere alle tue domande. Quando avrai trovato il professionista più adatto alle tue esigenze, contattalo per ottenere un preventivo.